These curls are done with a flat iron. 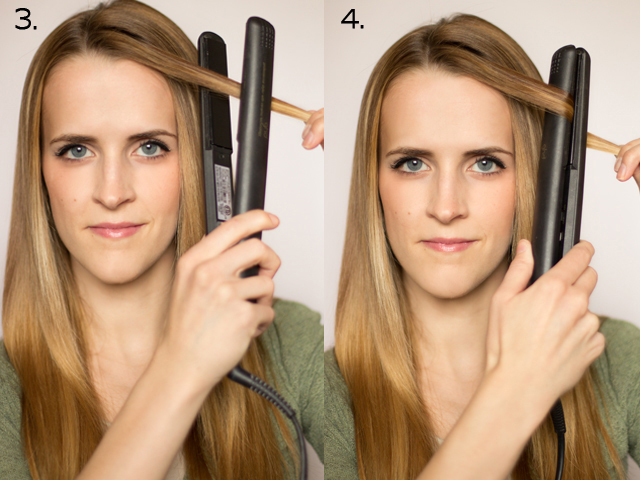 A huge part of getting your flat iron curls to turn out is using the right kind of flat iron! When picking out a flat iron that's good for curling, look for one that's skinny, has rounded edges, and gets somewhat hot on the outside of the plates as well. For these curls I used the GHD Classic Styler. Also, don't be fooled by those kiosks in the mall claiming their flat irons are the only ones designed to curl and straighten. 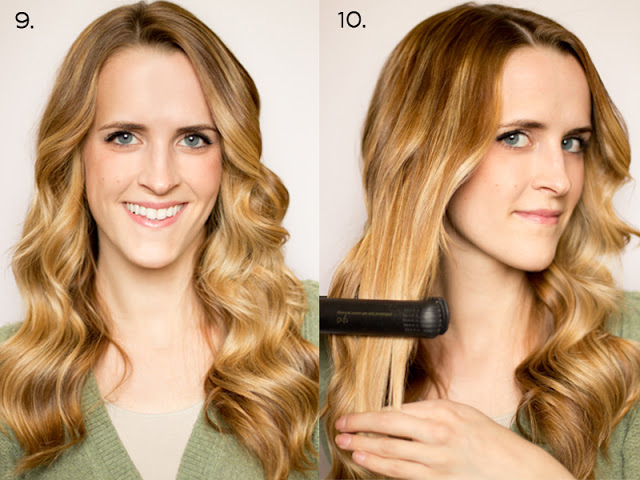 If a flat iron is skinny, has rounded edges and gets hot on the outside, you can curl with it. 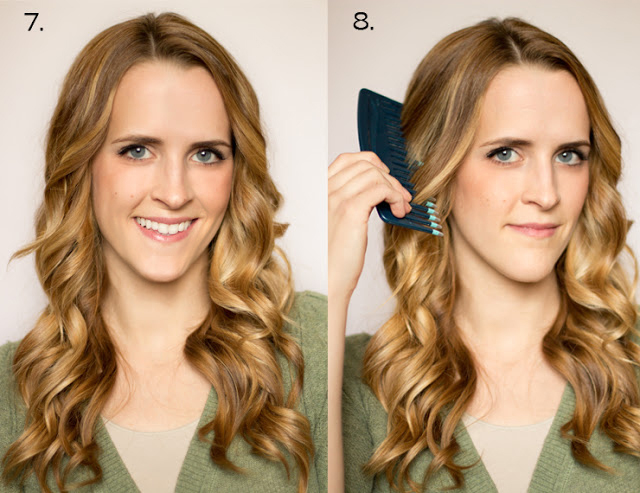 See a video tutorial for flat iron curls HERE. 1. On dry hair, brush out any tangles. 2. I always start curling at my part, but if it's easier for you, you can do it in sections and start in the back. Either way, take a section about the size of the one I am holding. 3. To start curling, place the flat iron about 3/4 of the way up the strand. 4. Close the flat iron and twist it away from your face one time, then pull it slowly down the rest of the hair strand while it's still clamped shut. *If your curl doesn't look this curly: slide the flat iron more slowly down the hair strand, giving it more time to get each part of the hair hot enough. You can also try taking a smaller section. Flat iron curls also work best on clean, smooth hair. If there is too much product or if it's too tangled it won't curl as well. *If your curl is only curled at the very ends: Spend more time curling at the top of the strand than at the ends. 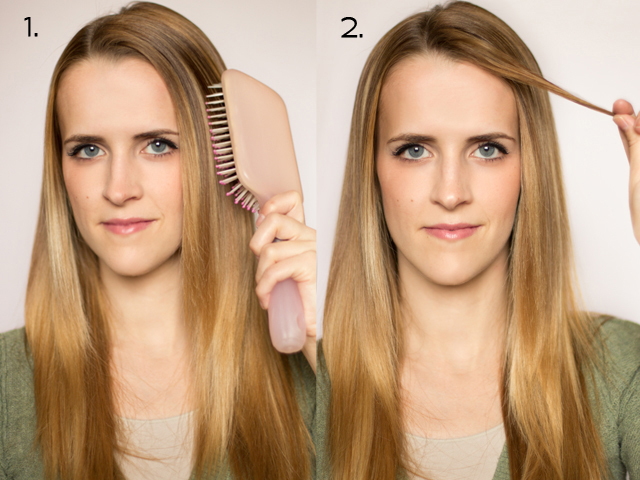 I always hold the flat iron longer at the top because I want to make sure it's curled. *If your curls are kinked: Your gripping the flat iron closed too tightly. You don't need to grip it really tight to get it to curl. Try holding it closed a little more softly. 6. 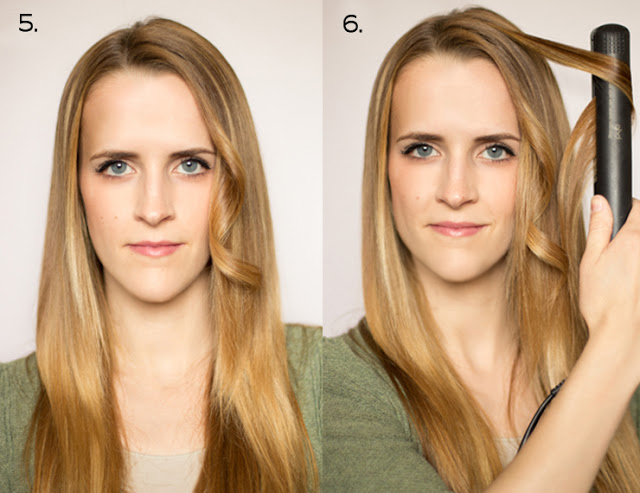 Repeat steps 3 and 4 to curl the remainder of your hair. 7. Once it's finished, it should look similar to this. 8. 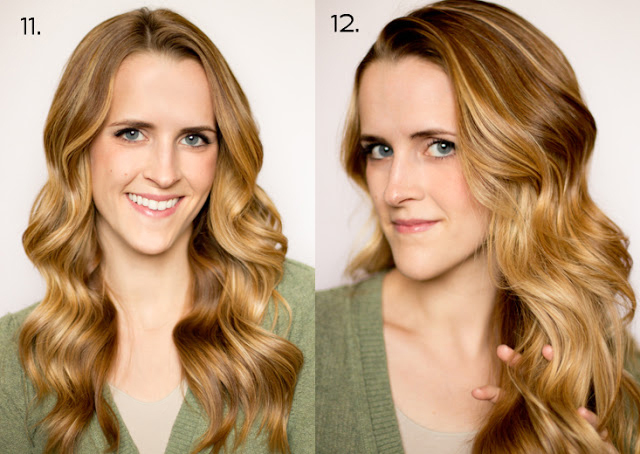 To smooth the curls and make more of a wave, run a pick through your hair. 9. Once it's combed out it will look less curly and more wavy. 10. I like my curls a little less bouncy than this. If you want your curls not so curly, run the flat iron over the ends a few times until it has the amount of curl you want. 11. This is how it looks after I flat iron the ends. 12. Finally, get some pomade or wax on your fingers and run them through your hair to add more definition and body. I am using Unite Second Day.